Tower Plane. 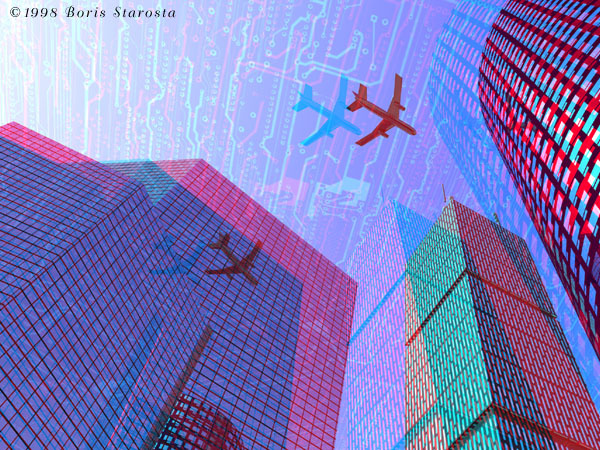 Corporate architecture frames this unusual perspective of a jetliner navigating a digital sky. Would the plane crash into one of the buildings if the computers suddenly went south? 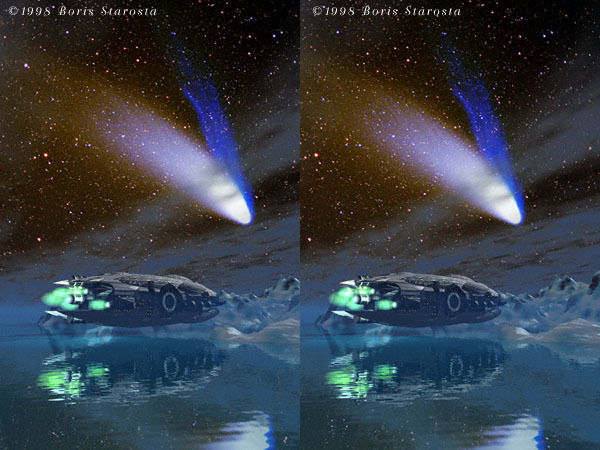 (This caption was written in 1999.The artwork originated in about 1995, with a stereoscopic version following in 1998. In the aftermath of the horrors visited upon the World Trade Center, I wondered if I should remove this image from my site, or at least revise the caption. I don't believe in historical revisionism. I do not want the history of this page removed or revised any more than I would want the attacks on the people of New York (and against humanity) to be forgotten. 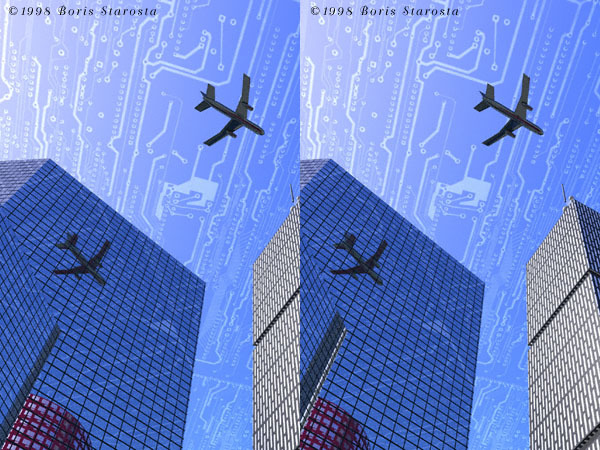 Except for this: Tower Plane stands for and visualizes the fruits of liberty and free markets, embodied materially and symbolically in the great constructions of modern western society: the airplane, the skyscraper, and the digital computer. With my deepest respects, and with humility, I dedicate this page to the memory of those who were hurt and killed September 11, 2001, and to the memory of a free and innocent society.